Peter Shilton apart, Wolverhampton-born Rowley is one of the biggest stars to have played for Plymouth Argyle. After being released by his home town club at the age of 18, he signed for Bournemouth in 1937. 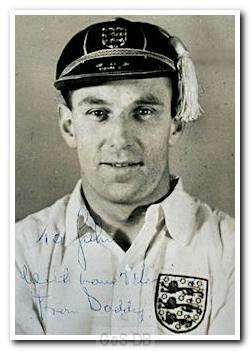 After just 10 games and 11 goals at the start of the 1937-38 season he was snapped up by Manchester United, making his debut in October 1937. He lost seven seasons to the Second World War, but went on to be a huge player for United, where he remains fourth in their list of all time goal-scorers, behind Wayne Rooney, Bobby Charlton and Denis Law, with 211 goals. His terrific shot earned him the nickname 'Gunner,' thought to be linked to his Army service which included time in France soon after the D-Day landings. He scored twice in their 4-2 win over Blackpool in the 1948 Cup Final and, in helping the Old Trafford side to the League title in 1952, became the first United player to score 30 goals in a season since 1928. He played six times for England and averaged a goal a game. 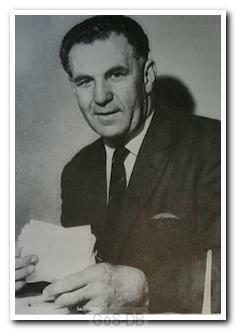 In 1955, with his powers waning and the first of the famous Busby Babes breaking into the first team, Matt Busby agreed to release him to become player-manager at Home Park, offering a glowing endorsement of Rowley's contribution to development of those famous young players at Old Trafford. Playing a deeper role than he had for United, he still scored 15 times in 58 games for Argyle. He saved them from relegation in his first season but they went down the next. 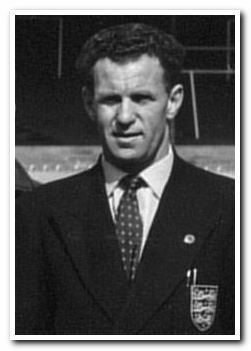 After an ordinary season in the third tier he retired from playing and built a side which came close to promotion in 1957-58. The next season his side fulfilled their promise and won the Third Division, leading the table for all but a couple of weeks. In his time at Home Park, using his many contacts in the game Rowley signed a string of quality players from First Division reserve sides, including Harry Penk, Wilf Carter, Jimmy Gauld, Gordon Fincham, Alec Jackson, George Kirby, Jimmy MacAnearney and long serving skipper Johnny Newman. He also converted Johnny Williams from an ordinary inside forward into an outstanding wing-half back. Argyle struggled after the promotion and Rowley was dismissed in March 1960, bitterly disappointed that he first read about it in the Western Evening Herald. He went on to manage Oldham (twice), Wrexham, Bradford and Ajax before leaving the game to run a post office in Shaw, Lancashire.